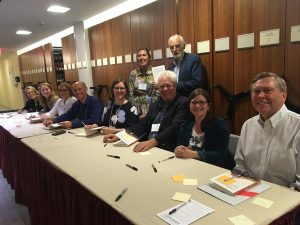 Cultivating Teen Faith has finally hit the bookshelves of libraries across the country, and ministry leaders are digging into this resource’s valuable findings and insights. The book cover shows many hands of diverse types, looking ready to start some game or activity. This makes sense, given the strong emphasis on relational ministry, mentors, camp, and family faith. But when I see the book, I don’t see hands. I see the faces of colleagues and dear friends. 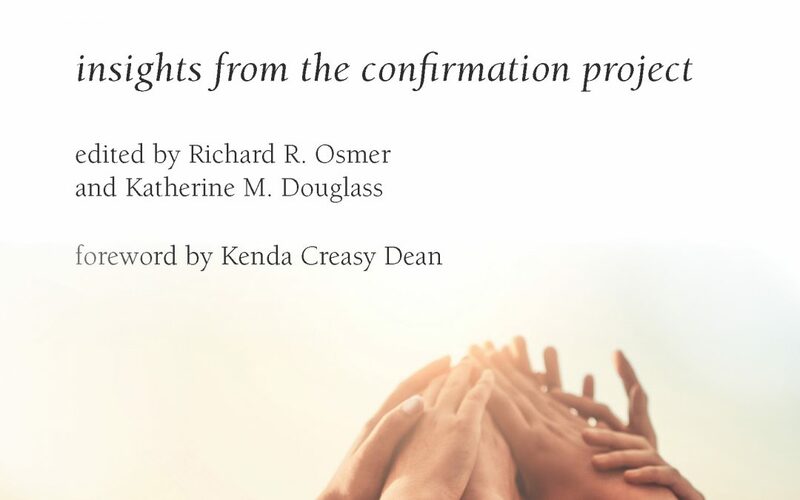 It was a great privilege to be part of the team that collaborated on The Confirmation Project. I have journeyed with them, both literally and figuratively, for over four years. The journey took us to ministry sites across the country, team gatherings in St. Paul and Princeton, and across the ocean to Finland. It is truly remarkable that over the course of this journey, the entire team has remained intact and engaged in the project. 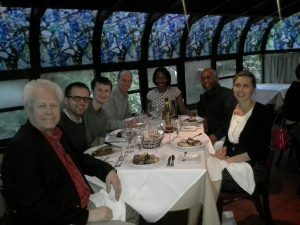 We had some of the nation’s best practical theologians – Rick Osmer, Kenda Dean, Reggie Blount, Lisa Kimball, Terri Elton, Gordon Mikoski, to name a few – and they were involved in numerous other projects during this time. Team members had new babies (one came to Finland! ), moved to new jobs, and even retired (congrats again, Rick!). We also faced an international hacking scheme (yes, really) that compromised a portion of our data and set the project back over a year. In spite of all this, we stayed together and persevered on a project that took immensely longer than anyone anticipated when they signed on. Why? I have a theory. We found in our research on Christian education that all three of the major groups we spoke with – ministry leaders, parents, and students – agreed that the ministry known as confirmation was a time to grow in personal faith, learn more about God, and develop some level of ownership of this faith. However, we also found that the three groups had divergent emphases. Leaders tended to emphasize theology and content, with a focus on students gaining the correct knowledge. Parents tended to be more concerned about completion of the program, as if there was a sense of urgency or even obligation to get them through confirmation. Students emphasized relevance. They were not as concerned about correct doctrine or simply getting through the program as much as they wanted faith to matter in their lives. If it was not relevant, it was not worth their time. I think our team began this project out of a sense of calling and concern with providing valuable content, like the leaders in our study. We wanted to offer curricula and data. But this did not sustain our team or keep us together. We all had other projects that offered more reliable and certainly easier ways of getting our content to the masses. Indeed, several of our team members published other books and dissertations during the course of this project. Maybe, like the parents in this study, we were motivated by some level of obligation to see this project to completion. We certainly spoke of the desire to end well during our time together. But we could have cut our losses many times along the way. 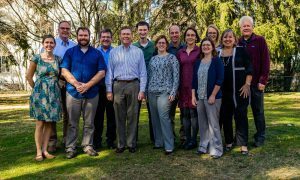 The project had already produced a valuable website resource, dozens of ministry portraits viewed by hundreds of ministry leaders, conference presentations, numerous articles, and inspired new curricula. Also, if completion was the emphasis, we would not be making plans even now to continue our collaborative work. I think, ultimately, our reason for continued engagement in this project aligns well with the main emphasis of the students in our study: relevance. This project and, more specifically, the team itself, matters to us. We like each other. I look forward to our gatherings because I like being with these people, hearing their insights, and sharing about what is going on in our lives. It is not about the content for me. 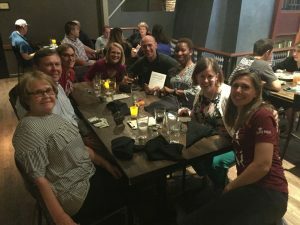 It is about the dear friends, colleagues, and mentors who I have the privilege of knowing and who take the time to walk alongside me. When you pick up this book, you will find plenty of great content, but content is not the main emphasis. You will learn about the importance of faith in the home, mentor relationships, dynamic leadership, interactive pedagogy, and immersive camp/retreat experiences. But more than content, you will notice a ministry that is relevant. You will find a hopeful tone amidst all the pessimism surrounding the church in recent years. We found Christian education and confirmation programs that are alive and well. They are vibrant, interactive, intergenerational, and very creative. In these pages, you find stories. You will encounter people. Not all are success stories, but they offer portraits of real people walking alongside one another and sharing in the joys and struggles of faith and life. They are working the challenges together, and that makes for a ministry worth showing up for. Whatever program elements you adopt, know that collaboration matters. Get to know your students. Get to know their families. Dare to be vulnerable in their presence. Journey with them through life transitions and struggles. Like our Confirmation Project family, you will find rich blessings in doing so. You will encounter more relevance than you could ever find focusing on content, no matter how compelling, or on curriculum, no matter how creative. Together, you will encounter the living presence of Jesus.